Time for the young ‘uns to show their stuff to the world. We all know Batang Gilas is in China right now for the FIBA Asia tournament. 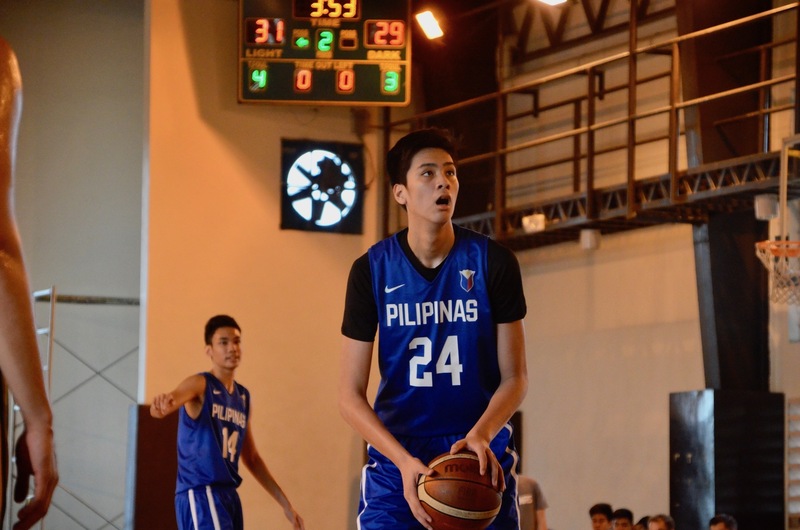 The big names like Kai Sotto and Terrence Fortea have been mentioned time and time again. But what else is there to know about this version of Batang Gilas? 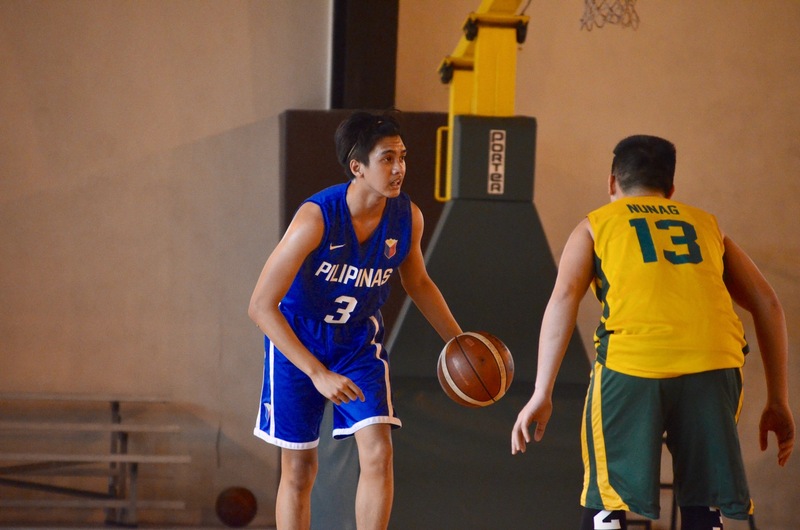 Let’s take a look at some key characteristics of this new Batang Gilas team. This version of Batang Gilas has been lauded for its height, but we’d be fooling ourselves if we said our length was a strength compared to other Asian teams. Our front court is all, for sure, but we lack the necessary length along the wings to counter whatever teams like China and Chinese Taipei have. This Batang Gilas team is tall, but not tall enough for it to be considered a strength. As big as this edition of Batang Gilas may be, they still need that range from its guards to stretch the floor and make things easier down low. The back court duo of Padrigao and Terrence Fortea can shoot the lights out from deep, while the likes of Mac Guadana and RC Calimag are good enough shooters to keep defenses honest. 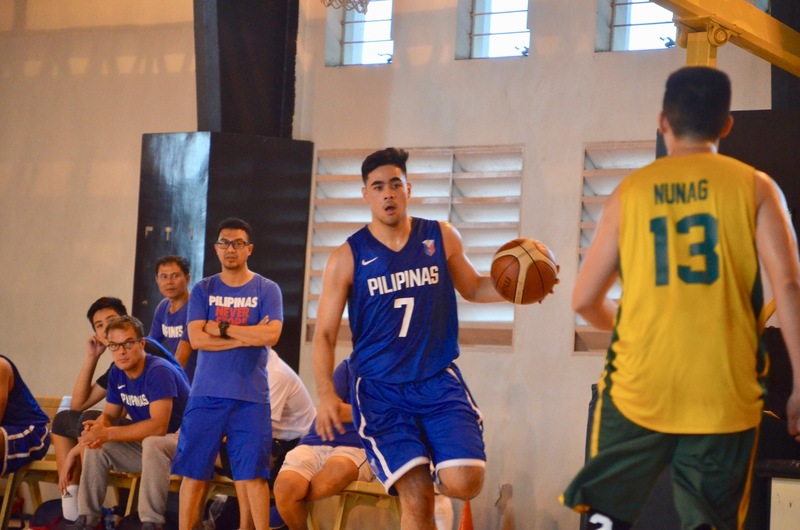 To pair with the range of Batang Gilas is their grit. They’re a scrappy bunch that chase after loose balls, box out strong for rebounds despite their lack of size in the backcourt, and push the pace as Coach Mike Oliver loves to jump start things for his team in an instant. Despite its newfound length, Batang Gilas stay true to the way Philippine Basketball is played with its strengths. It’s probably the Batang Gilas team with the most range on its shooting, and it still has the trademark grit any Philippine Team brings to the floor in any international tourney. Pair those with the physical tools of most of its players, and you have yourself a potential recipe for success. This may be the tallest Batang Gilas team in history, but it’s also the rawest. Don’t mistake that for lack of grit, because this is a bunch that will push back when asked, and will pounce at every opportunity. Instead, most of the members of this team are underdeveloped in terms of their physical make-up. Raven Cortez and Geo Chiu lack the coordination and skills necessary for a big in the international level. Fortea and Padrigao lack the strength to get to the rim with ease. This then brings us to the next weakness of Batang Gilas which is their lack of perimeter stability. This is an effect not just of the lack of strength of its guards, but also the alarming lack of depth this Batang Gilas has in its wings. There’s creativity in this team, just look at the skill sets of Padrigao and Fortea. But it lacks safe options it could go to when the game gets tough. More often than not, those options come from the perimeter off pick and roll actions or simple dribble drives. The problem is, the guards and wings aren’t particularly adept at executing those plays. The guards of Batang Gilas certainly provide a different look compared to what the likes of SJ Belangel and Matt Nieto brought to their respective batches, but there are still issues to take note of that could affect the team big time when the knockout round comes. Kai Sotto and his two-way, unicorn brilliance. He’s the best player, and probably the most valuable player of this team. The Kaiju is an inevitable for this team, and even for the FIBA Asia tournament. Padrigao and Fortea. They make for a lethal Splash Brothers connection, with range and creativity for days. They’re the backbone of the Batang Gilas offense. Those three names are givens already. Sotto, Padrigao and Fortea compose of the Big Three of Batang Gilas that the rest of the team orbits around of. But a team can’t just operate with three dudes. The rest of the team has to do its job, and there are particular players who are most key in trying to make this machine work. 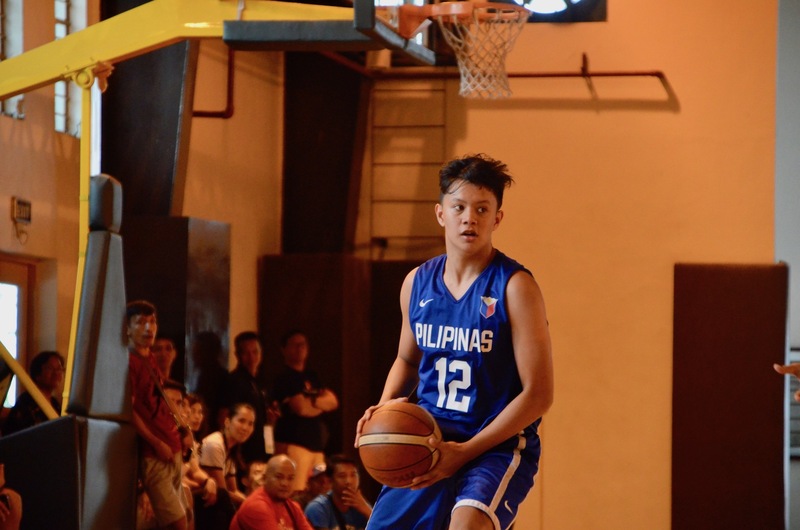 Since wing depth and perimeter stability are noted problems, Joshua Lazaro and RC Calimag will be relied upon to try and provide support for the backcourt of Batang Gilas. Lazaro will be a third perimeter defender to throw against the FIBA Asia wings, as he’s been noted to use his length to masterfully attack passing lanes and provide solid help defense. Offensively, he isn’t the smoothest athlete out there, but he can surprise you with a couple of moves here and there to the rim. Calimag, on the other hand, is a born scorer who has enough moves to make defenders think. You can’t sag, he has the shot and the engine to get hot at any minute. The defense also can’t stick to him too much, because he has decent enough foot speed and handles to get to the rim. He isn’t elite at either, but it’s a good enough package to provide help for the main guys of the team. As awesome as Sotto is, he can’t do it alone down low. That’s why Cortez, Chiu and Yukien Andrada (yes, brother to Yutien Andrada) need to provide as much as possible to help the cause of Batang Gilas. Cortez and Chiu, despite being both raw offensively, can provide production to them team in different ways. Cortez is the kind of wiry, switchy, type of big who can provide help defense ala Nonoy Baclao. Chiu, on the other hand, is a hefty center, who when locked in, can play some solid defense paired with good rebounding on both ends of the floor. It’s all in the mind when it comes to Chiu. Andrada, on the other hand, is a more interesting prospect. He doesn’t immediately strike as the brother of Yutien because of his relatively chunky frame, but it goes even beyond the physical make-up. He’s a stretch four through and through, someone you can play the pick and pop game with absolute ease, and kick out with confidence to for set shots in the wings. Between him, Chiu and Cortez, he’s the smallest, but also the one with the most polished skill set. Expect him to be paired a lot with the shot blocking and interior presence of Sotto. This Batang Gilas team is a peak high risk, high reward team. They have the height, but they also lack the skill and polish we’ve been so used to from past Batang Gilas teams. They have flash, but not the stability we so crave for from our National Teams. If there’s one thing we should be most watching out for, its whether or not the team can bring its A game on a consistent enough basis to get a Top 4 slot in the FIBA Asia tournament. To do that, it needs every player in the team to chip in. It can’t just be about Sotto, Padrigao and Fortea. Opposing teams are well aware of what those three players bring, especially with how easily accessible their clips are already online. Kai’s a shot blocking demon whose offensive game is also a treat, while Fortea and Padrigao are Steph Curry babies who score and facilitate with a noticeable flash. We know that, others know that. So the surprises will ultimately come from the other guys, and it may just be they who make the difference between the FIBA World Cup, and failure once again.